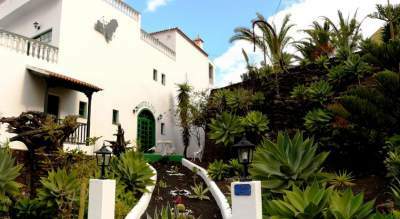 El Hierro Island Cottages and various other Accommodation to Rent on El Hierro Island.on the Canary Islands in Spain. amazing landscapes and clear signs of its violent volcanic past. The Parador’s elegant, colonial-style interior opens onto a row of balconies overlooking the ocean. Most of the hotel’s rooms also boast magnificent sea views, creating a relaxing and unforgettable atmosphere. Hotel Rooms: 45 from Spanish Holidays Canary Islands. The hotel offers views of the gulf and mountains from its terrace. The restaurant serves breakfast. Local activities include horse riding. El Hierro Island Airport is about 15 km away. There is free onsite parking. The complex has a 24-hour reception and offers free private parking and car rental services. It is located 25 km from Hierro Airport. Boasting stunning views of the sea, mountains and countryside, this charming rural-style hotel boasts spacious accommodation and an outdoor swimming pool. 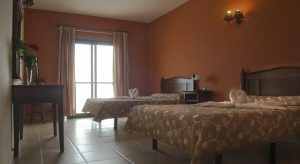 Villa El Mocanal is perfectly set in the north of the tropical island of El Hierro Island, … More from Spanish Holidays Canary Islands. El Hierro (Jack Taylor’s Travel Diaries Book 4). Being the smallest inhabited island of the Canary Island archipelago off the West coast of North Africa, El Hierro does not disappoint when it comes to splendid vistas, amazing landscapes and clear signs of its violent volcanic past. Even right now in 2016 there have been plenty earthquakes due to ongoing subterranean volcanism. Living on El Hierro is not for the faint-hearted! 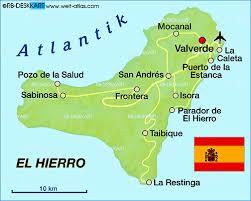 El Hierro’s western end was for a long time considered the end of the known world by the Europeans. El Hierro, nicknamed Isla del Meridiano (the “Meridian Island”), is a Spanish island. It is the smallest and furthest south and west of the Canary Islands, in the Atlantic Ocean off the coast of Africa. It is situated at 27°45′ north, 18°00′ west. The name of the island is derived from the Guanche language toponym Hero, which by the process of folk-etymology was transformed into “Hierro,” meaning “iron” in Spanish, due to its similarity to that word. Thus, Ferro (Latin ferrum, “iron”) was and is used as an alternative name for the island. Most likely “hero” is the original name of what we to-day call a “cistern”, due to the way the bimbaches saved water from trees. It is the name for the island in other languages, including French, German, and Danish. Pliny the Elder, who used Juba II as his source, names a series of Canary Islands, and it is believed that his Capraria may have been Hierro. The ancient natives of the island, called bimbaches, were conquered by Jean de Béthencourt -more through the process of negotiation than by military action. Béthencourt had as his ally and negotiator Augeron, brother of the island’s native monarch. Augeron had been captured years previously by the Europeans and now served as mediator between the Europeans and the Guanches. In return for control over the island, Béthencourt promised to respect the liberty of the natives, but he eventually broke his promise, selling many of the bimbaches into slavery. Many Frenchmen and Galicians subsequently settled on the island. There was a revolt of the natives against the harsh treatment of the governor Lázaro Vizcaíno, but it was suppressed. Spanish Holidays El Hierro Island on the Canary Islands Spain. 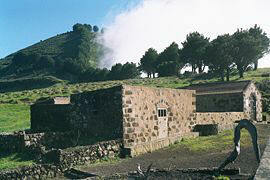 Cottages and various other Accommodation to Rent on El Hierro Island.on the Canary Islands in Spain.